The Peoples Democratic Party (PDP) has alleged that soldiers have been ordered to cordon off Senate President Bukola Saraki’s residence in Kwara state ahead of the elections. According to Daily Post, the party also said that the police has been instructed to arrest Saraki’s loyalists in the state. PDP’s spokesman, Kola Ologbondiyan in a statement issued to newsmen on Wednesday, February 13, 2019, said that there is heavy security presence in Kwara. According to him, “The attention of the Peoples Democratic Party (PDP) has been drawn to the heavy deployment of top security chiefs to Kwara State, the home state of the President of the Senate and Director General of the PDP Presidential Campaign Council, Dr. Abubakar Bukola Saraki, ahead of the general elections. “This is part of the plot by the All Progressives Congress (APC)-led Federal Government to intimidate, harass, create fears in the minds of voters and rig elections in the state. “As part of the plot, the Directorate of State Services (DSS) has deployed its Director of Operations, Etteng Bassey, as well as the State Directors in charge of Ogun and Anambra States to Kwara State ahead of Saturday’s elections while the Director in charge of Kwara State has been moved to Benue. This is in addition to the deployment of hundreds of other DSS operatives from Abuja to Kwara state. 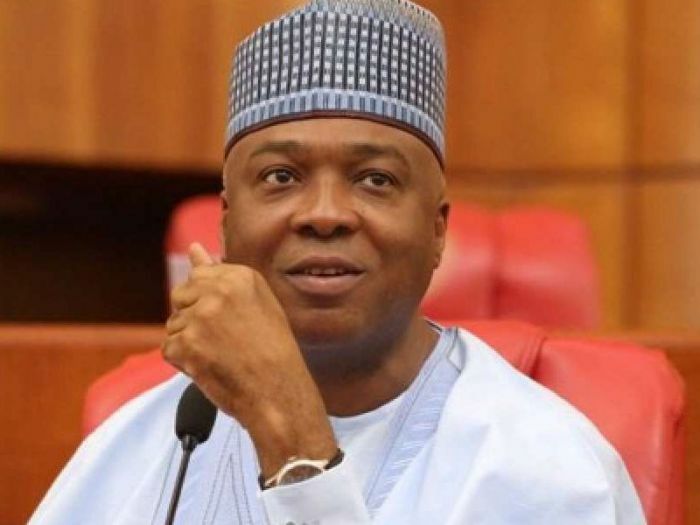 Saraki, on Tuesday, February 12, 2019, issued a stern warning to President Muhammadu Buhari, saying that Kwara state is a no-go area for the All Progressives Congress (APC) in this coming elections.